Knowledge. A healthcare advertising agency needs the knowledge to be a forward-looking, proactive business and brand consultant. A medical marketing resource is expected to be skilled, efficient and experienced in the profession of communications, marketing, and advertising. That’s what the agency brings to the table at a minimum. But the healthcare agency must also be an expert in the business of the client, including a personal understanding of the objectives, prospects and customers, products and services, culture, competition, and dozens more details. Passion. Successful clients are passionate about their business. A successful agency-partner lives their client’s brand. They share their drive, enthusiasm, and competitive spirit. It is reasonable for a client to expect that their healthcare marketing and advertising agency is a partner in the desire to win, to overcome obstacles, and to motivate everyone on the team toward greater achievements. Responsiveness. A hallmark of excellence in any service industry is providing a prompt response. From a simple question to a major crisis—and any degree in between—clients appreciate and expect a connectivity, and sometimes flexibility, that is fast and effective. Service is synonymous with responsiveness and vice versa. In many situations, this means 24 hours or less; but in reality, a nearly immediate reply, acknowledgment or resolution is best and often possible. Results. The measure of a successful client-agency partnership in healthcare marketing is delivering measurable and quantifiable results. Activities, process steps, and invested time/resources may be useful benchmarks. But your advertising agency will, as a best practices standard, remain focused on achieving and reporting meaningful and specific results. 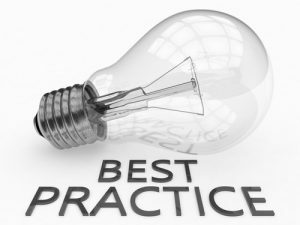 The post 6 Best Practice Traits You Want in a Healthcare Advertising Agency appeared first on Healthcare Success.